Janet Rose Wright, age 75, of Las Vegas, Nevada and Liberty Center, Ohio, passed away Saturday, March 23, 2019 in St. Luke’s Hospital, Maumee, Ohio surrounded by her loving family. Janet was born February 28, 1944, in Napoleon, Ohio to the late James William and Anna Mae (VanWormer) Strawser. She married Clayton Wright on September 01, 1994 and he survives. 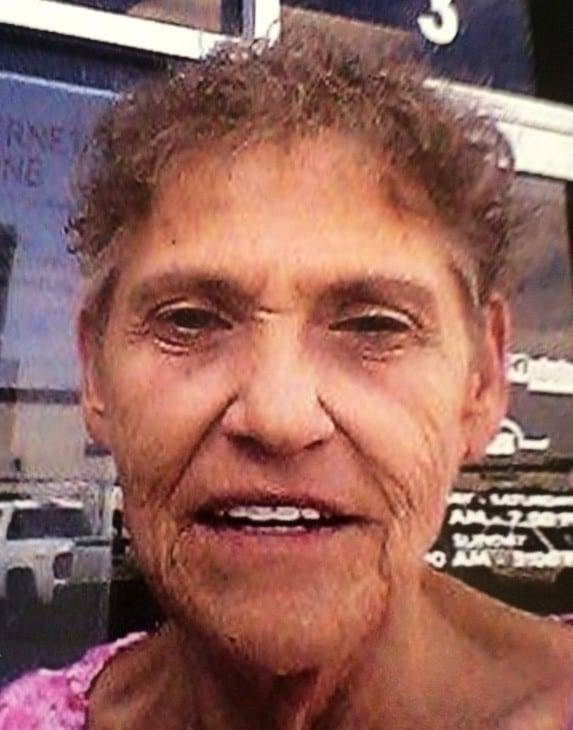 She was employed for many years in Las Vegas as a casino cashier and was also employed at Courtview Mart in Wauseon, Ohio as a Manager for over 30 years. She enjoyed spending time with her family, bingo, Keno and playing cards. Survivors include her husband, Clayton Wright. Children, Lewis F. Rohda, Jr. Michael L. (Barbara) Rohda, Thomas W. Rohda. Step-children, Jeff (Kim) Wright, Cara St. John, Catrina Wright. 29 Grandchildren. 16 Great-grandchildren. Many nieces and grandchildren that she was a loving, second Mother. Sisters, Kathy Baden, Clearwater, FL. Cheryl Strawser, Defiance, Ohio, Laura Lewallen, Delta, Ohio and Shelia Strawser, Deshler, Ohio. Janet is preceded in death by her parents, and an infant sister, Marsha. Memorial contributions may be made to Heartland Hospice or Victory Chapel United Brethren Church, Liberty Center, Ohio. Grisier-Weigel Funeral Services, Delta, Ohio is honored to serve the Wright family. Be the first to comment on "Janet Wright (1944-2019)"